Owls are exclusively birds of prey. The prey varies, depending on the size of the owl and availability of prey animals in their natural habitat, but includes insects, fish and small mammals. The best way to determine what an owl has eaten is by examining the pellets. The production of pellets are a natural and essential part of the owl’s digestive process. Owls have many strengths, including excellent vision and hearing, powerful talons and the ability to fly silently. These features make the owl an extremely effective hunter. However, they have relatively weak bills, meaning they tend to swallow their food whole, rather than shredding it or picking parts off with their bill. In swallowing his prey whole, the owl gives himself a digestive challenge that he needs to overcome later. The majority of birds have a crop. This is a muscular pouch located near the gullet. The crop enables birds to store food for consumption later. Owls do not have a crop and once they take an animal into their mouth, they must swallow it whole. This prevents the owl from expelling the prey from his mouth. Owls have relatively mild stomach acid, especially when compared to other birds of prey. So when an animal is swallowed and reaches the stomach, the digestive acids therein are not capable of fully breaking the food down for digestion. Only the soft tissues are processed by the acid. This means that bones, fur and feathers can’t be fully digested and pass out of the owl’s back passage. 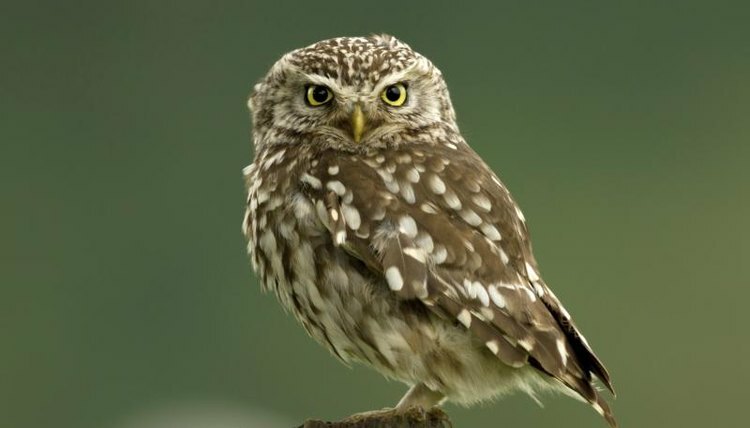 Instead, the small opening at the top of the foregut traps indigestible matter and prevents it from traveling any further through the owl’s digestive system. The bones, fur and feathers remain in place at the top of the foregut, where the owl’s stomach muscles compress it and dry it out. This is where the pellet forms. The owl doesn’t consciously form a pellet after eating, the natural movements of his stomach do this involuntarily. Owls do have some autonomy, however, when it comes to expelling the pellet. They typically regurgitate before hunting, so the pellet may lie fully-formed in the gut for hours before expulsion. Once the owl is ready, he will contract his stomach muscles, forcing the pellet upward, and back out of the digestive tract toward the mouth. If an owl is startled, however, he may eject the pellet before it is fully formed. In such cases, the pellet is moist and not fully compressed. These early regurgitations may appear larger than regular owl pellets, causing confusion for inexperienced examiners. From a conservation point of view, pellets enable naturalists to determine what animals an owl has been feeding on. They also enable them to determine the abundance of certain owl species in a certain area, as well-formed pellets can typically be associated with a specific species known to the area. From a natural point of view, owl pellets have provided sustenance for other animals, such as the larvae of moths. How Is the Owl's Digestive System Based Upon Pellets? What Are Owl Pellets Used For?